LEXINGTON, Ky. (March 2, 2005) Forests make up nearly half of Kentucky’s land area. In late winter and early spring, a large amount of timber is cut from the state’s woodlands. 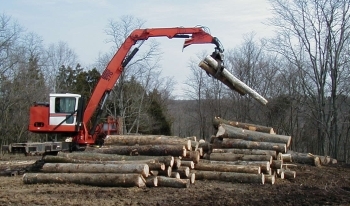 Local sawmill supplies are dwindling as a result of a wet winter season, said Doug McLaren, agriculture and natural resources Extension specialist for the University of Kentucky College of Agriculture. If you are one of the 300,000 forest landowners in Kentucky, you might soon receive a phone call or a personal visit from a logger offering to buy and ultimately cut your timber stand. McLaren said very few forest landowners sell timber more than once in their lifetime. Investigating all the options is a way for owners to get the best price and management available for their resources. Generally, two methods are recognized for selling timber lump sum and pay-as-you-cut. If you are like many forest landowners, selling timber can be a very intimidating process, he said. You need to understand the issues involved with liability insurance, capital gains, BMP adherence, market values, and potential market risks. All of these terms and concepts will greatly affect the final price you will receive for any timber you sell. Using the services of a professional forester can provide landowners the advantage of better understanding how to sell their timber. Consulting foresters have knowledge of logging practices and legal issues, contracts, and sales procedures and they can make sure the land owner’s interests are protected, McLaren said. A forest consultant assumes the same duties that a realtor does when you sell your house, he added. They represent you and your timber resources. Consulting foresters can also help with future management decisions of forested land. Kentucky has rich resources of soils, a variety of tree species and ideal growing conditions for a valuable timber crop. Like any agricultural crop, continued management is necessary during harvest and into the next rotation, McLaren said. Consult a forester before you sell any timber, he recommended. They have the tools and knowledge to increase the return on your forest investment. 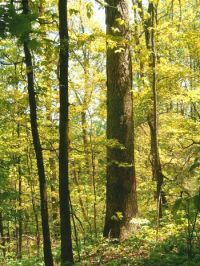 Remember that timber is a slow-growing resource and many of the economically mature stands in Kentucky are nearly 100-years-old. Relying on a professional forester will only add value to your timber, he added. To locate a consulting forester, contact your local county Extension office. The day was hot and the terrain was gullied as I followed the direction of my compass due west. Just another half-mile and I would be finished with the timber inventory work I had started early that morning. I never say the wasp that suddenly stung me or the vine that entangled my ankle when I tried to run. Within seconds, however, I was lying face down in the brush, stunned and hurting. Only when I stood did I realize that I could not walk. It took two hours to drag myself to within shouting distance of an associate who helped me to my truck. My doctor determined that I had severely damaged my left knee — not good news for a consulting forester. Surgery would be required — along with a substantial amount of aftercare — if I were ever to return to my profession. At that point I had to make some major decisions, such as: Did I really believe my local doctor or would I try to let the knee heal by itself? If I went to a surgeon, how would I determine which surgeon to use? Would the services of a surgeon be worth the cost? And would the surgeon provide aftercare or simply perform the surgery, send the bill and leave me on my own for rehabilitation? I did have the surgery; it was successful. The aftercare was excellent (although the physical therapy was torture! ), and it was worth all the cost. I don’t even want to think of what the results might have been had I not gone through that entire process. For landowners considering the services of a forester, the decision-making process is similar to what I described in choosing a knee surgeon. Do I need a forester? What kind of forester do I need? How do I choose which forester to use? Will the services of the forester be worth the costs involved? Will the forester stay with me all the way through my forest management program or simply make a timber sale and leave me on my own for reforestation and other needs? The following thoughts are intended to help answer those questions. Some landowners will grow timber for 30 years or longer, pay taxes on the land each year, fight forest fires, face wind storms, fear ice storms, worry about insects and then make a decision that will affect the forest for years into the future – without seeking any professional advice. The decision may be something as simple as where to place fire lanes and wildlife areas or something as major as what timber to harvest or what species of tree to plant on certain sites. When I hurt my knee, I knew something needed to be done. I went to my local family physician who, after examining me, told me what I should do. 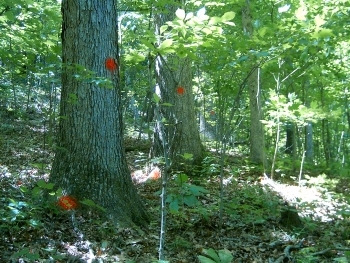 Along the same line of thought, many landowners know something needs to be done in their forests but don’t know exactly what to do or how to do it. If you are one of those landowners then, yes, you do need a forester who can examine your property and provide you with professional assistance. What kind of forester do I need? Just as there are many types of doctors, there are also many types of foresters. Some foresters can be defined by their training; for example, I have a friend who is a forest geneticist. Yes, he is a forester, but he has chosen to specialize in forest genetics and has received much training above the undergraduate level to attain that goal. Foresters can also be categorized based on their employer. Some foresters work for local, state or federal governments. Some work in colleges or universities. Some work in any of a variety of industry positions ranging from forest management to timber procurement to administration. Some foresters work as consulting foresters and provide their services to the public for a fee. Consulting foresters, those who provide their expertise and services to the public for a fee, are bound ethically, and perhaps legally, to maintain strict loyalty to their clients. They are not restricted to providing minimal services as is often the case with the government, nor are they bound by the needs and mandates of an industry employer. The landowner is the employer! 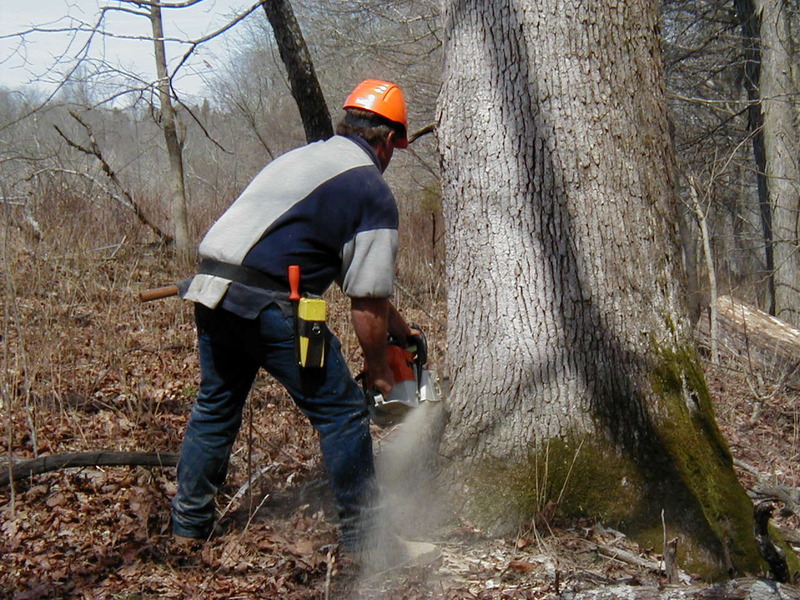 Because landowners often need a broad range of services that require a great amount of professional time, and because the landowner hires (and fires, if necessary) the consulting forester, many individual tree farmers find that consulting foresters are “just what the doctor ordered”. There are times when a forester who works for a government entity can provide free advice and assistance to landowners. By the very nature of the job, government foresters are usually limited in the amount of “hands on” assistance they can provide to any one landowner. Likewise, some companies within the forest industry have foresters who will provide free advice and assistance to selected landowners. Obviously these companies provide the services in hopes of having a readily available and reasonably priced wood supply. How do I choose a consulting forester? Just as my local physician recommended a surgeon to operate on my knee, other foresters can often recommend a consulting forester. But I also wanted to know more about my surgeon than that another doctor recommended him. I wanted to know about his education, his experience, his specific areas of expertise. I wanted to talk to some of his patients. I wanted to know about his professional affiliations and designations. I wanted to know if he would still be available after surgery. And, oh yes, I wanted to know how much he charged. How did I get these answers? I asked! I asked another local doctor what he knew about this surgeon. Recommendations by professional peers should always be considered. I asked other people on whom the surgeon had operated. I asked the surgeon. Those are exactly the things a landowner needs to do when choosing a consulting forester. Ask other foresters. Ask clients. Ask the banker in the community where the forester lives. Ask. Ask. Ask. Finally, ask the consulting forester you are considering. What college? What degree? How many years in the consulting business? Does he or she provide a complete line of services? Is he a member of the Association of Consulting Foresters of America, Inc. or another organization with similarly high ethical and educational standards? What are her fees and how will her services be worth more than they cost? If the work involves clear cutting of timber, will he or she be available to help with reforestation and other needs or is the consultant acting only as a timber broker? One other thing, be prepared for the consulting forester to ask you questions as well. A good consulting forester realized that forest management or timber marketing isn’t worth the paper it’s written on unless it also meets the landowner’s needs. I would have been really skeptical of my knee surgeon had he never asked how I hurt the knee? Had it been hurt before? What type of stress is placed on my knee in my daily work? To what medicines am I allergic? and similar questions. In the same way, be cautious before choosing a consulting forester who never asks you any questions. Once you have chosen a consulting forester, be totally open and honest about your needs, desires and goals. If those plans change, tell the forester. If you aren’t pleased with some aspect of the work being conducted, tell the forester. If you don’t understand the recommended activities, tell the forester. In other words, you and the consulting forester must communicate often and honestly. Finally, always remember that the decisions you and the consulting forester make today may affect your forest well into future generations. The future truly is in your hands and in the hands of the consulting forester you choose and with whom you work. Choose well and work well with him or her.